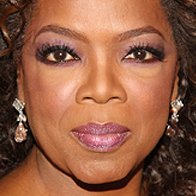 Oprah Winfrey, the curvy TV goddess is one of the best paid celebrity faces, and best known for her famous TV show “The Oprah Show”. She is known for having best celebrity guests and for having really touching topics. Also known for charity work, for her style and her sense of humor. 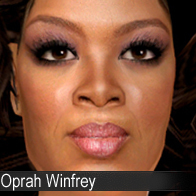 This sim includes everything made by me, from the eyeliner to the skin tone. You will need “Sims 2 Glamour Life stuff pack” for the clothes to work, and for the hair to work, you will need Kavar’s mesh over at insimenator.